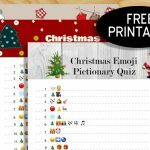 I love playing games with my family and this year I have added many Emoji Pictionary Quiz games to this website. 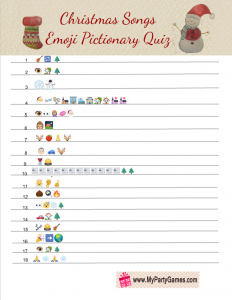 These games are a twist to the old pictionary game and everyone will get the same set of quiz questions. You do not need to make teams to play this game. The whole family can play it together and compete. This game is 100% original and it’s being shared for the first time on mypartygames.com. 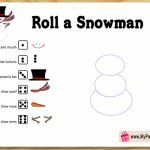 I have created the game printables in four different designs and you can print it in any design that you like the most. 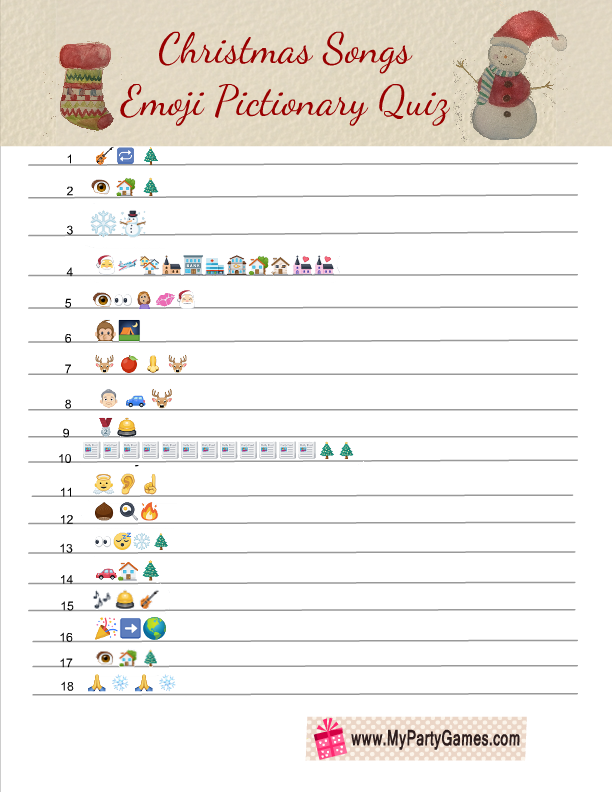 There are hints in the forms of Emojis and players will have to guess that famous Christmas songs that the emojis show. 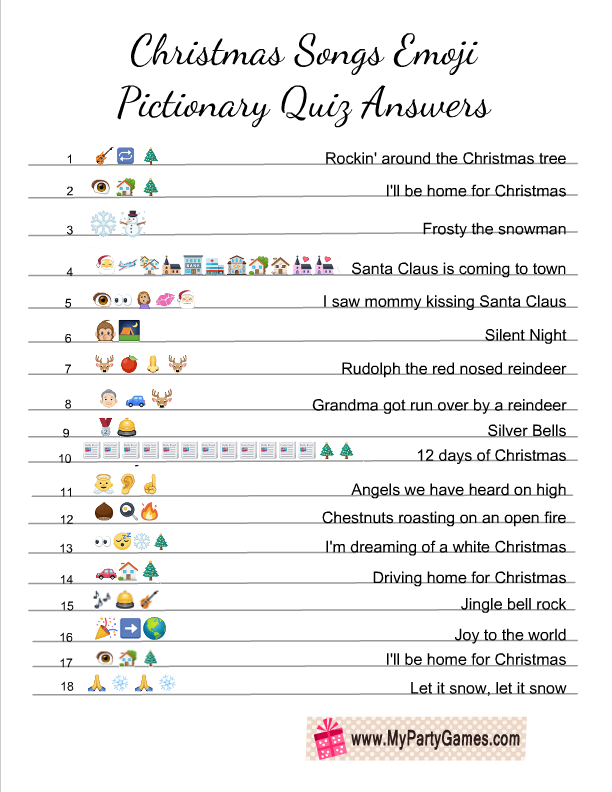 I have added an answer key for this game at the end of this page. You can print one copy of it. Please read the terms and conditions before downloading my games. You are not allowed to add images from my website to any other website or blog. You can only post links to my website or Pin the thumbnails on Pinterest. 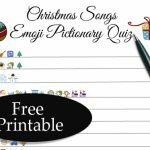 Download and print this Christmas songs emoji game in the design of your choice according to the number of the guests who’ll be playing this game. 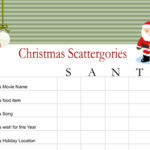 Distribute the game cards among players along with a pen or pencil. 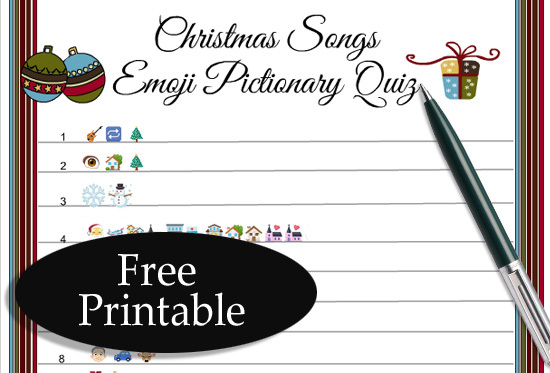 Ask them to guess all the Christmas songs with the help of the Emojis displayed on each line. 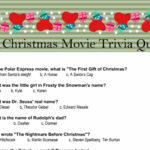 The guest with most correct answers will be the winner. This is the first free printable design that I have made for this game. There are 18 different clues given on each line. 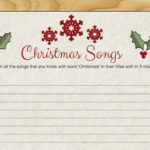 Your guests will have to guess the Christmas songs. All the songs are very popular so they would not face a great difficulty. This game design is decorated with a green border. This design is simple and would not use much ink even if you’ll print it using your home printer. To save this image just click on this thumbnail and a bigger image will open up, you can right click and save that. This is the second very adorable design that I have made for this game. 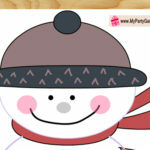 This cute game is decorated with a Christmas stocking and a super adorable snowman. All the graphics that we have used in these games are made by us. We have tried to shared cute, adorable and unique games on this website. 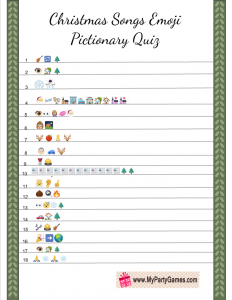 If you want to see printables for any other game as well, please do let us know. This is another free printable that I have made for you. 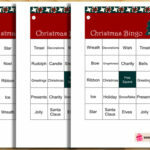 This game will add more fun to your Christmas celebrations. 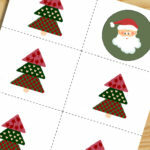 This free printable game is decorated with a colorful plaid pattern. If you like this design more then simply click on the thumbnail and a bigger printable image will open up, you can right click and save that. This is another design for this fun and intresting game. 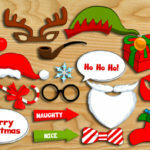 This design is decorated with a colorful border, a cute Christmas gift and beautiful Christmas ornaments. Just click on the thumbnail and right click and save the bigger image that will open up. 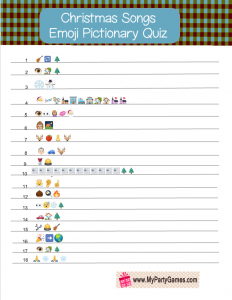 This is the answer key for this free printable pictionary quiz. 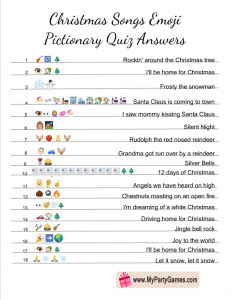 You only need to print just one copy of these answers. If you like this game then please leave a comment below. Getting positive comments makes me happy. 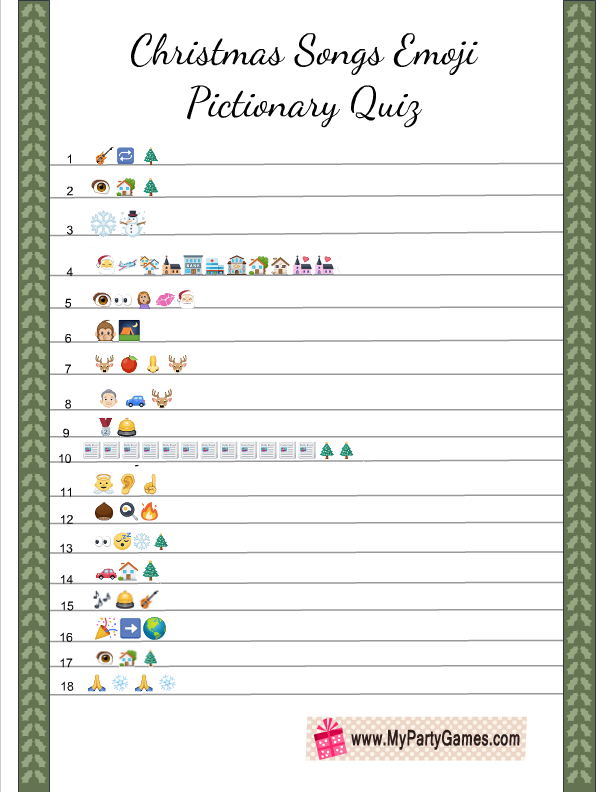 Also please pin this game on Pinterest and share the links to our website on social media. I’ll be home for Christmas is on their twice. I love all these Christmas Games. 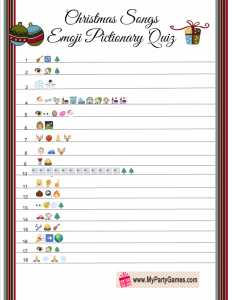 I’d like to use them in class before the holiday break. 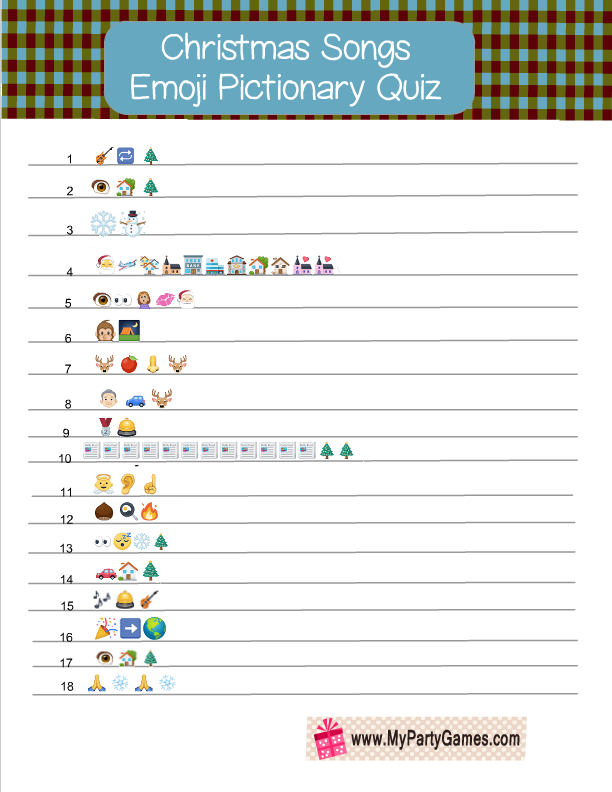 Not only are they fun, they make students think. 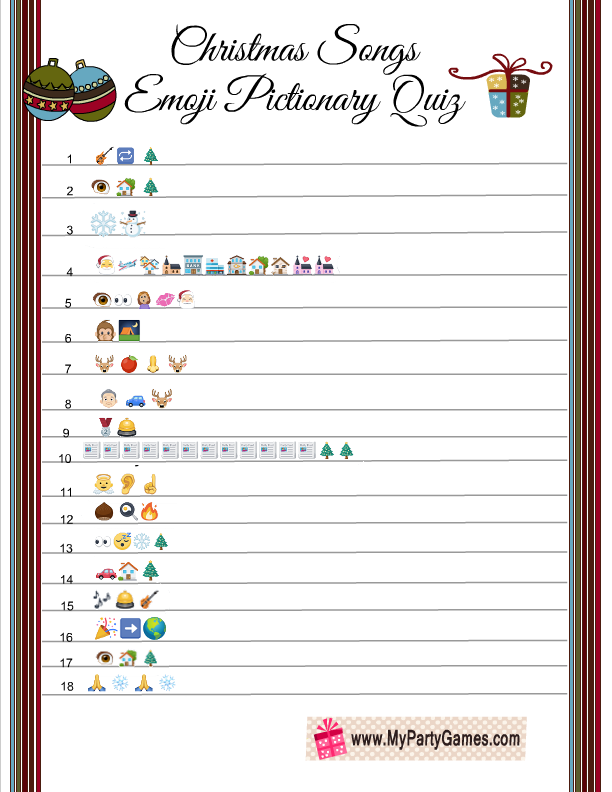 I would like to be able to print some of these off to use.